Are you thrifting for sweater dresses. I tell you one thing, it is the go to outfit in the Fall/Winter months. Throw on a sweater dress, opaque tights and booties, and you are ready for a day at the office or a casual lunch date. But this colorblock sweater dress is extra special, because it adds a pop of color on a gloomy day. So choose a sweater dress that will make a stylish statement and add a colorblock sweater dress to your wardrobe. Do you think colorblocking is here to stay? Or are you over the trend? That is so cute! I love it! 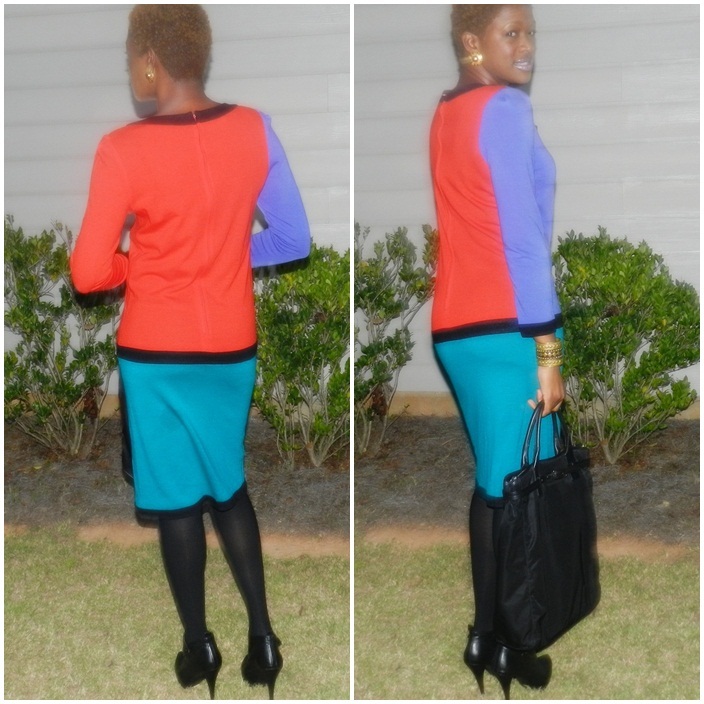 I think color blocking will continue into next year! Thank you! It is such a go to piece this Fall.